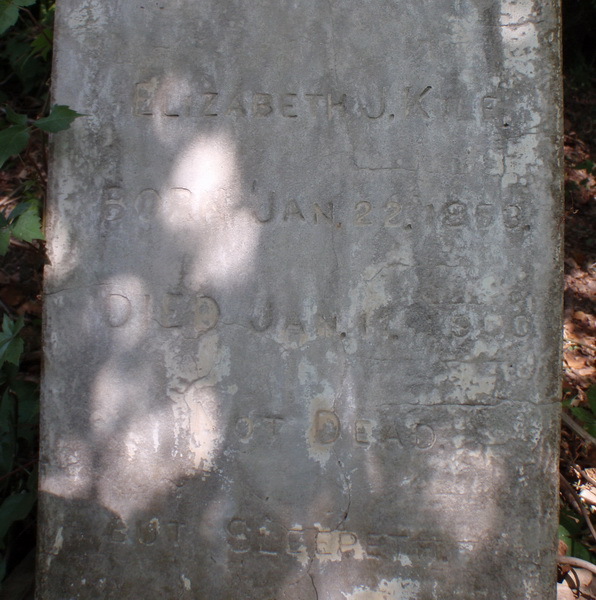 Elizabeth Jane Bass was born Jan 22,1853 in Bell County, Texas, and died Jan 10, 1900 in Coleman County, Texas. She was the daughter of Jerusha Jane Dyches and Isaac Bass. She married (1) James B. Duggins June 18, 1869 in Bell County, Texas. He was born 1847 in Arkansas, and died in Polk County, Missouri. She had three children before she married (2) John Wesley Kile October 19, 1890 in Bell County, Texas, son of Joseph Kile and Mary Dyches. He was born June 5, 1844 in Washington Parish, Louisiana, and died February 21, 1930 in Coleman County, Texas. JANE DUGGINS b. Abt. 1872 in Bell County, TX. SAMUEL HOUSTON DUGGINS b. September 09, 1873 in Bell County, TX. LEONA DUGGINS b. Abt. 1875 in Bell County, TX..
WILLIAM DUGGINS b. 1879 in Bell County, TX..
THEODOCIA ANN DUGGINS b. Abt. 1881 in Bell County, TX. ; d. April 28, 1928 in Sugarland, Harris County, TX. ROBERT LEE DUGGINS b. July 19, 1884 in Bell County, TX. ISAAC NEWTON CLINTON R. DUGGINS b. Novemeber 29, 1887 in Bell County, TX..
LUTHER AUSTIN KILE b. September 10, 1891 in Bartlett, Bell County, TX. ; d. February 13, 1971 in Coleman, Coleman County, TX. ERNEST KILE b. Abt. 1893 in Williamson County, TX. ; d. Abt. 1893 in Williamson County, TX. LAVICIE MAYBELLE KILE b. May 04, 1895 in Bell County, TX. ; d. June 12, 1914 in Santa Anna, Coleman County, TX. Coleman County, Texas Deed Book 106, pg. 72. 16 Feb. 1918: Filed 6 March 1918. Before me, R. L. McGaugh, a Notary Public, in and for Brown County, Texas, who being by me duly sworn on oath says: That he is the only surviving child of the marriage of James B. Duggins and Mrs. E. J. Duggins, all the other children of said marriage having died before reaching their maturity and without issue that the said James B. Duggins abandoned Mrs. E. J. Duggins in the year 1876, and she was divorced from him three or four years thereafter: that about 1890 or 1891 Mrs. E. J. Duggins married J. W. Kile; That between the time of the desertion of her by her first husband and her marriage to J. W. Kile there was born to Mrs. E. J. Duggins out of wedlock, children, all of whom assumed their mother’s married name, to-wit: Docia Duggins, who married George C. Starr; Robert L. Duggins, commonly known as Lee Duggins, and L. C. Duggins commonly known as Clinton Duggins; That Mrs. E. J. Kile died about 1900; that only one child born of the marriage of said Mrs. E. J. Duggins to J. W. Kile reached the age of maturity, to-wit: L. A. Kile, all the rest of the children born of said marriage having died in infancy or early youth, and without issue, that this affidavit made as supplementary to and for the purpose of explaining an affidavit made by this affiant J. W. Kile and L. A. Kile on March 12, 1915, and recorded in Book 91, page 402, of the Records of Deeds of Coleman County, Texas. Witness my hand this 16th day of February, A. D., 1918. S. H. Duggins Subscribed and sworn to before me by S. H. Duggins this February 16th, A. D., 1918. R. L. McGaugh, Notary Public, Brown County, Texas.